Rochester Castle stands on the east bank of the River Medway in Rochester, Kent. The 12th-century keep or stone tower, which is the castle's most prominent feature, is one of the best preserved in England or France. 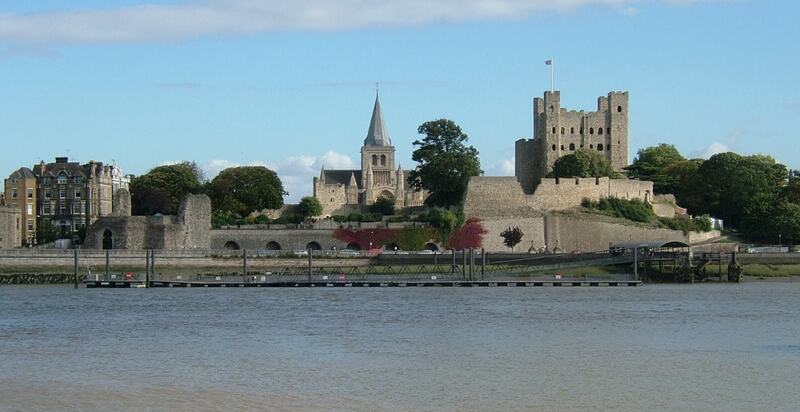 Situated on the River Medway and Watling Street, Rochester served as a strategically important royal castle. During the late medieval period it helped protect England's south-east coast from invasion. The castle and its grounds were opened to the public in the 1870s as a park. At various points during the 19th and 20th centuries repairs were carried out. The castle is protected as a Grade I listed building and Scheduled Monument.